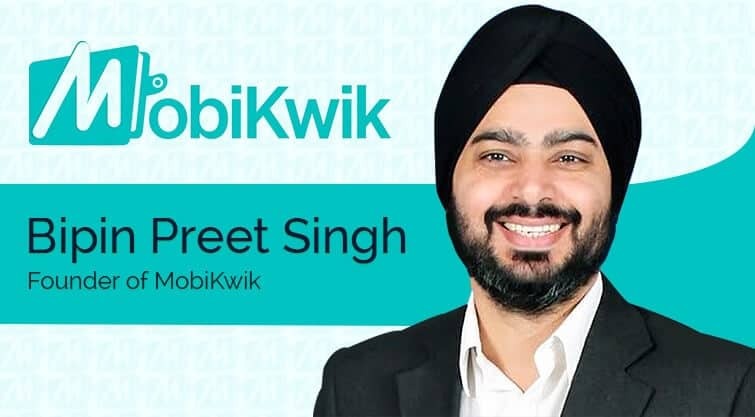 Case Study:How MobiKwik became India’s leading mobile wallet company in just 6 years? 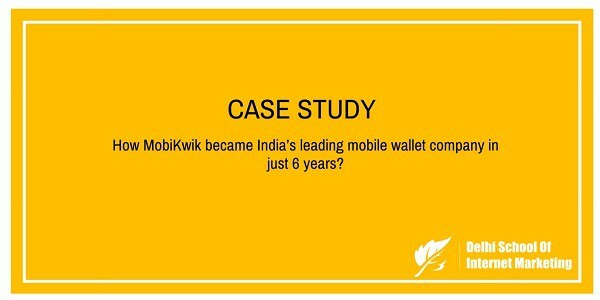 Home > Blog > Blog > Case Study:How MobiKwik became India’s leading mobile wallet company in just 6 years? MobiKwik, simply put is one of India’s leading Mobile Wallet companies, that offers its users to use this virtual wallet to make any kind of payments be it online or offline, at any of its 50,000 (brick and mortar) or 20,000 (online) merchants, just like a physical wallet. Some of their merchants include – Café Coffee Day, Domino’s Pizza, Pizza Hut, PVR, eBay, Jabong, Snapdeal, ShopClues, HomeShop18, Naaptol, Pepperfry, Fashionara, MakeMyTrip, BookMyShow, etc. Personally speaking; the Electrical Engineer from IIT-D, likes to call himself a sports fanatic and holds keen interest in playing and watching football. Additionally, he has also taken the initiative to become the lead trainer, motivator and content contributor in Janaagraha’s flagship training program called CAP – Citizen Awareness Program, in his early days. Bipin began his career soon after he completed his engineering from the Indian Institute of Technology, Delhi in 2002. He started his first job as a Senior Design Engineer at Intel in the same year. In his 3 year stint at Intel, he was in-charge of handling the Whitefield project which was also known to be Intel’s first server micro-processor design, wherein he his tasks included developing comprehensive hardware design experience. In 2006, Bipin decided to take a rather unusual leap in his career and joined Janaagraha as a Training Facilitator. For the next one year, he worked on to develop a program that was known to be India’s first citizen awareness program whose primary objective was to motivate the students and IT professionals in their youth to take part in the democratic process beyond just voting. During this stint he also got the opportunity to conduct a range of training sessions at places like Dell, NVIDIA and many more. After working on the aforementioned projects for almost a year and a half, Bipin then moved to Freescale Semiconductor as a SoC Architect in mid-2007. To simply explain it, he worked on creating and analyzing performance models, developing new use cases and at the same time, proposing new features for Motorola Chipsets. One thing was clear in his head was that, he was meant for something big and better, so then the only two things left in his mind were either to go and pursue his MBA or start-up something of his own. But he took the latter option and began envisioning his entrepreneurial venture. Having that decided, he began with the first one of the most important and challenging tasks of finding a team which equally shared his dreams. After speaking to a lot of people and after getting a lot of rejections, he one day stumbled upon an old flat mate of his from Bangalore, who immediately agreed to his idea, after which, he also got in Sunali Aggarwal from East Village to partner with them for user experience. Now that he had it all – the business skills, the technical skills and usability in his bucket, he chipped in a seed capital of around Rs.8 lakhs from his own pocket, to begin the project. Most of the investment was spent on the main surrounding factors like infrastructure, website, payment options, office space, etc. And finally in 2009; founded MobiKwik! The company uses social media platform effectively for lead generation and launches various offers to convert it into sales. At present, the Facebook business page has around 7.9 lacs fans and Twitter witness over 55K followers. With the lucrative and attracting contents and videos posted frequently, the company has used effectively the social media platforms. YouTube page of the company has around 1,628 subscribers. Google+ has 21K followers and Instagram has over 140 followers. Followers on Facebook are increasing in count day by day which is making MobiKwik an India’s leading Mobile Wallet Company. So what exactly was their Business Model all about? All they had was a noble intent to offer customers a solution to free themselves from the hassles they faced regularly when dealing with mobile operators or their services. MobiKwik in simpler terms was a model created to ease the payment problems that were faced by online users every now & then in India. MobiKwik was primarily founded with an aim to create an online store where all the needs of mobile owners can be satisfied, covering all three major verticals – Voice, Data and Applications. All a user had to do was, add money once to MobiKwik wallet which later could be used multiple times across functions, services, and service providers to make payments. By this way, one could easily reduce the risk of exposing card details or bank account details at multiple merchants. They initiated the model with voice services like prepaid recharge for all operators across India, data services (GPRS/3G top-ups) and plug n play mobile applications. To make it even more accessible, they even launched an SMS-based recharge model on the available MobiKwik balance for the people who did not have internet service, along with a Kwikplan that leveraged one to an automatic recharge facility based on their budget every month. Now the other thing they realized was that most of the mobile services used to function on a ‘push’ model basis that means the operator would push down the services to customers and then the customer would select what they want. But customers did not have the freedom to proactively go to look for their preference; hence, limited choices and lower quality services. To counter that, what MobiKwik did was it brought in an altogether a new ‘pull’ model in the Indian telecom space, wherein one could recharge mobile, check out new plans or offers, find premium apps. The next obvious task for the company was to marketing. But just like every other start-up with a tight budget, they were forced to be very calculative on where they spent their money. Hence, word of mouth was one of the only marketing techniques they could opt for, apart from social media of course. Since then, there has been no looking back for them and their growth has been tremendous. The company broke even in 2013; and today with over 17 Million users and 50,000 merchants (retailers) and 20,000 merchants (online), One MobiKwik Systems Private Limited, the parent company of MobiKwik has gone on to become India’s leading Mobile Wallet company. Its services now also include – mobile recharge, postpaid bill payment, online DTH recharge, life insurance, electricity, landline and gas, etc. MobiKwik pockets a range of reputed brands as their esteemed clients including – Café Coffee Day, Domino’s Pizza, Pizza Hut, TastyKhana, JustEat, PVR, eBay, Jabong, Snapdeal, ShopClues, etc. Unlike most competitors or other Internet based companies, they are expanding from the virtual world to the brick and mortar outlets to increase coverage of its mobile wallet. In the initial time company raised $250K seed funding and looking at the growth of the company in 2013, Cisco Investments, American Express and the existing investor, Sequoia Capital invested $25 million in Series B which was $5 million in a series A round. In 2014, MobiKwik won the mBillionth Award South Asia in the category of Mobile Business.